The city’s Planning and Zoning Department is looking to move forward on two pieces of long-overdue economic analysis needed to begin larger planning and development efforts around the portion of South Congress Avenue immediately south of Lady Bird Lake. At Monday’s meeting of the South Central Waterfront Advisory Board, members learned that PAZ had identified the funding to pay for an infrastructure study and the gap financing to provide affordable housing as the 118-acre district is developed in the coming years. The news from PAZ director Greg Guernsey came weeks after the board delivered a sharply worded letter to City Council expressing frustration that a list of plans and approvals needed to begin work on the area’s redevelopment had stalled for more than a year. Guernsey said the roughly $50,000 needed for the infrastructure study will come from “unfilled vacancy” funding from his department, while the gap financing analysis will possibly be paid for with a revolving contracts agreement with consultants. Between the tax revenue ceiling regaining momentum at the state Legislature and ongoing affordability concerns, Travis County is looking for a way to increase its livable wage for county employees before the imminent property tax caps take effect. Todd Osburn, compensation manager of the Human Resources Management Department, told the Commissioners Court on Tuesday that the county’s current livable wage rate of $13 an hour is just over what is necessary for single adults to support themselves. According to HRMD’s recent Livable Wage Study – which used data from the Massachusetts Institute of Technology living wage calculator to determine basic costs of living for Travis County – if you add a partner or children to the equation, $13 is not enough. Though there is no precise definition, a livable wage is usually higher than the minimum wage under the Fair Labor Standards Act, and is at least sufficient for basic needs like food, shelter and clothing. As the June deadline draws closer for Sendero Health Plans to prove its worth in the insurance market, Central Health officials gathered Monday night to update the community about the nonprofit health insurance company. According to Sendero and Central Health's board of managers, the company is doing well so far – sort of. “At this point there’s nothing we can say definitively, other than anecdotally we’re very happy that we’ve been able to provide quality care,” said Wesley Durkalski, Sendero's president and CEO. Sen. John Cornyn, girding for a potentially tough reelection fight next year as Democrats drive to end the GOP grip on Texas, raised another $2 million in the first three months of 2019. Texas’ Republican leadership wants to raise the taxes that consumers pay when they go shopping in order to lower the taxes that homeowners and business owners pay on their properties. The state sales tax would rise from 6.25% to 7.25%, generating an estimated annual $5 billion in coming years. That would take the total sales tax in most cities to 9.25% because local governments can raise the sales tax an additional 2 percentage points. Supporters say a higher sales tax rate would generate enough revenue to buy down property tax rates by 20 cents per $100 valuation at a time when Texas homeowners and businesses are feeling squeezed by rising bills. Texas state agencies are beginning to divest nearly $72 million worth of stock in a company said to be boycotting Israel — the first financial move after a year-old law that bars Texas agencies from investing in such companies. Beto O’Rourke raised more than $2 million from his home state of Texas in the opening weeks of his presidential campaign, easily outpacing his 2020 Democratic rivals. Another Texan, Julian Castro, placed a distant second in the state’s money race, collecting more than $400,000, according to an analysis of newly filed campaign finance reports. On today’s episode we speak with Easy Expunctions CEO and Founder Yousef Kassim. Easy Expunctions is a San Antonio-based legal technology start up providing background check and expunction/nondisclosure services. Their legal records search algorithms allow clients to know what (if any) charges they have against them, and what can be expunged. Additionally, they provide the necessary legal forms and filing instructions directly to the client. The overall process provides a significant savings to the client (in the thousands) as well as empowering people who may not have experience with the court system. Check out Episode 42 here! 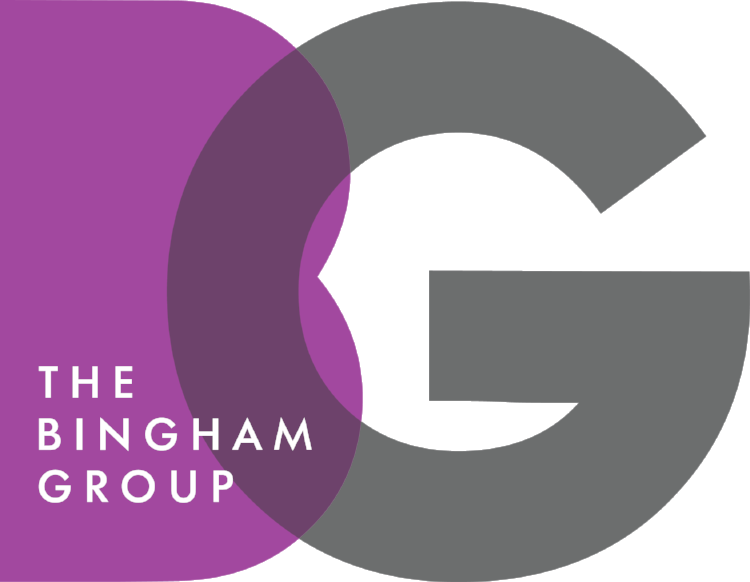 The Bingham Group, LLC is an Austin-based full service lobbying firm representing and advising clients on municipal, legislative, and regulatory matters throughout Texas.